Social Work in a Global Context engages with, and critically explores, key issues that inform social work practice around the world. Social work can take many forms, and is differently understood in different parts of the world. However, at base, it can be seen as a profession which strives to advance the causes of the vulnerable and marginalised with the aim of promoting social justice, equality, and human rights. This text provides examples of social work in a wide range of countries, informing our understanding of what social work is. It looks at how practice changes or stays the same, and at the impact of policy, as experienced by service users as well as by practitioners working in challenging circumstances. It also meaningfully reflects on the strengths and challenges that are enabled by diversity. - the future for social work, from disaster work to involving service users. 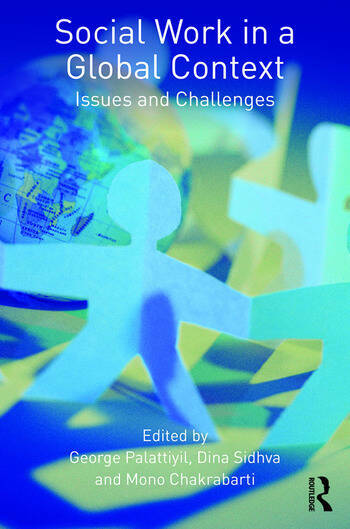 Social Work in a Global Context is the first truly international book for all those interested in comparative and cross-cultural understandings of social work. George Palattiyil, PhD is a Lecturer in Social Work at the School of Social and Political Science, and Deputy Director of Edinburgh India Institute at the University of Edinburgh. He is a qualified social worker and began his academic career in India. He later pursued a PhD in social work at the University of Strathclyde, Glasgow. His main research and teaching interests are in the area of individuals and families affected by HIV and AIDS, human rights, refugees and asylum seekers, older people and international social work and social development, along with a growing interest in the area of cross border reproductive services. Dina Sidhva, PhD is an Honorary Fellow at the Edinburgh India Institute at the University of Edinburgh and a freelance researcher. She qualified as a social worker in India and obtained a PhD in social work from the University of Edinburgh. She has taught and practiced social work both in India and in Scotland. Her research interests span HIV/AIDS, women and children, asylum seekers and refugees, migration and human rights issues, commercial surrogacy, and focus on giving voice to the voiceless. Mono Chakrabarti (1942-2015) was Emeritus Professor in Social Policy in the Department of Social Work and Social Policy at the University of Strathclyde, Glasgow. He was a qualified social worker and studied at the University of Edinburgh and the London School of Economics, University of London. Before joining Strathclyde, he was a lecturer in Social Work and Social Policy at the University of Glasgow. His research interests were migration and ethnicity, mental health, comparative social policy and vocational education. His publications have appeared in various refereed journals, both national and international and he has written a number of books.